The Rivers State Governor, Nyesom Wike has declared that the most dangerous threat to Nigeria’s unity is the inability of the Independent National Electoral Commission, INEC, to conduct free and fair elections in the country. Speaking in the United States, US, over the weekend, the governor also claimed that the repeated use of security agencies to rig elections will endanger the unity of the country more than the agitations of different ethnic groups. According to Wike, “The most dangerous threat to the unity of the country is not the agitations by different ethnic groups, but the inability of INEC to conduct free and fair elections. 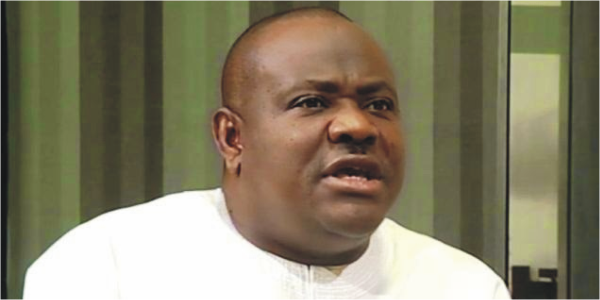 He, however, declared that Rivers people believe in the unity of the country. Wike further urged people of the state to shun politics of hatred, bigotry and acrimony, bloodletting, blackmail and falsehood. “As 2019 approaches, we must eschew politics of hatred, bigotry and acrimony, bloodletting, blackmail and falsehood and allow our genuine leaders to take us in the direction that best serves our collective interest. ”Most importantly, we must resist every attempt by any Judas among us to truncate our ascendancy and make us play second fiddle in the evolving politics of the State and the nation because of their selfish interest,” he added.